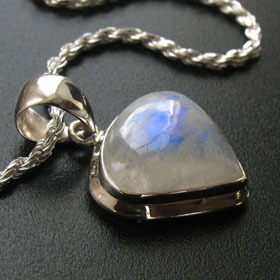 Rainbow moonstone heart pendant in sterling silver. 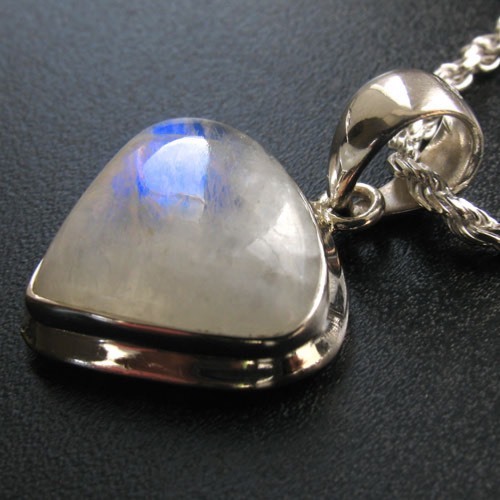 This moonstone heart is utterly irresistible. 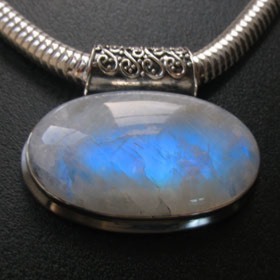 Not only a beautiful shape, perfectly domed and tactile, it has glorious schiller - the floating blue light characteristic of rainbow moonstone. 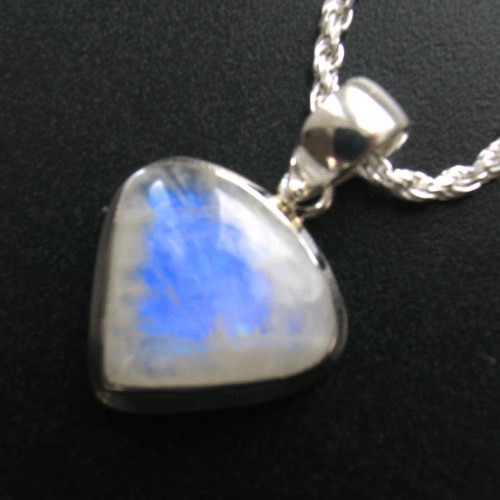 For more information about moonstone see About Gemstones. 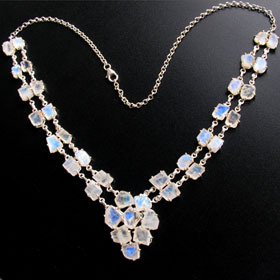 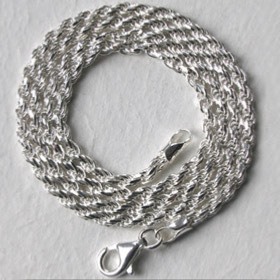 The sterling silver setting is plain and profiled. 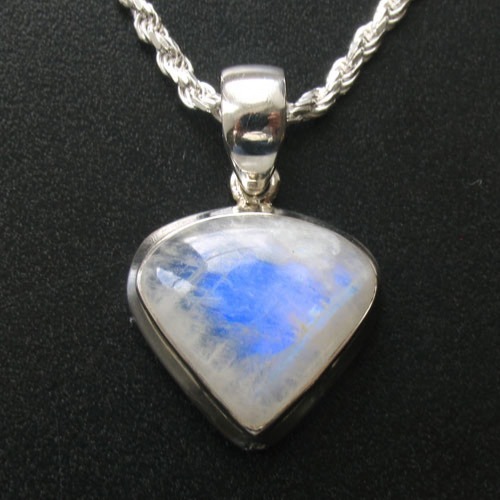 The moonstone has an open back to allow light in. 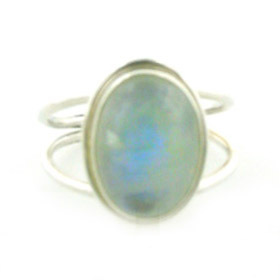 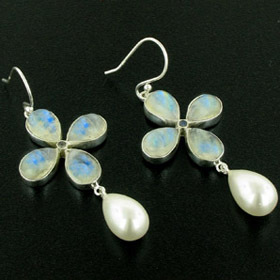 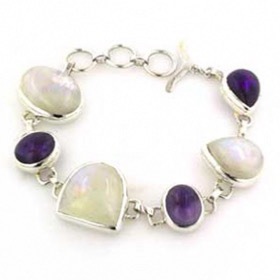 If moonstone is your passion, see all our rainbow moonstone jewellery and make up a set. We chose to feature our diamond cut rope chain, width 2.3mm to add a little sparkle to this moonstone pendant.